You might say I’m already in the Thanksgiving spirit by writing this post. Really, this topic is much bigger than a holiday that has progressed to a focus on food and football. 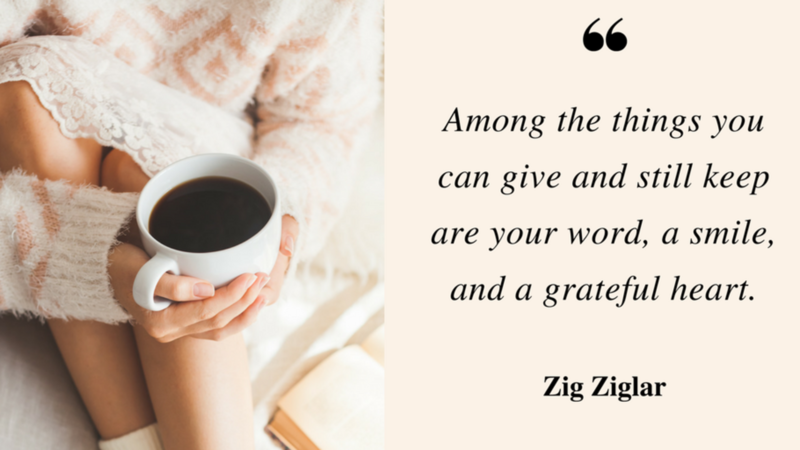 Gratitude should be a daily activity, especially if you are a small business owner like me. Can a Business Grow Without Gratitude? You’ve probably heard of the “growth mindset” from business coaches and similar people. Part of developing that growth mindset is recognizing and appreciating what you already have in your life and why. This mindset becomes crucial as we look forward to the future of a business and think about growth – hiring team members, expanding the product / service catalog, and increasing revenue. A business is bigger than transactions of money for a product or service. Businesses are built by people – teams of people who are working towards the same goals. Even if you’re a solo entrepreneur, you have people supporting you in various ways. This is not exclusive to those with full-time employees. For teams to thrive, there are two important values you bring as the business owner: provide a space with genuine gratitude for work well done and curiosity for open minds to always be learning. The teams who practice and show gratitude and a learning flexibility are stronger for this reason. They deliver a higher ROI and make a difference. This is part of an article that originally appeared on beckmanncollaborative.com. You can read the 4 recommendations in that article here.